Sunday was an odd day. I planned a very early start, a carboot and maybe the Tenby Spectacular, as Dave helps run the P.A. there each week. There are bands, entertainment, food, beer and a beach! Perfect! I got up at 6am and opened the back door. It was wet, dark, cold and cloudy. I closed the door and went back to bed. I promised the kids that we would still do something today. We started getting ready to go to Tenby- got our swim costumes on and began to pack our bags. The whole time Izzy was sad and quite whiney, which isn’t like her. So I figured she didn’t feel that well. 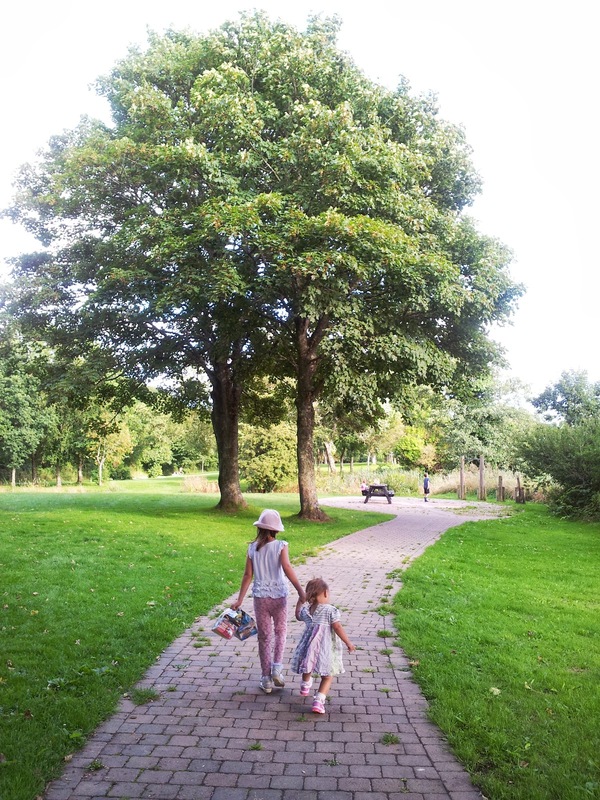 I became aware that my neck was stiff and I felt achey too, so I told the kids we’d have a little rest and then go out. A little rest turned into Izzy and I lying on the settee, feeding and sleeping for two hours. I woke up and realised we would have missed the kids entertainment in Tenby, but didn’t want the kids to miss out on doing anything. 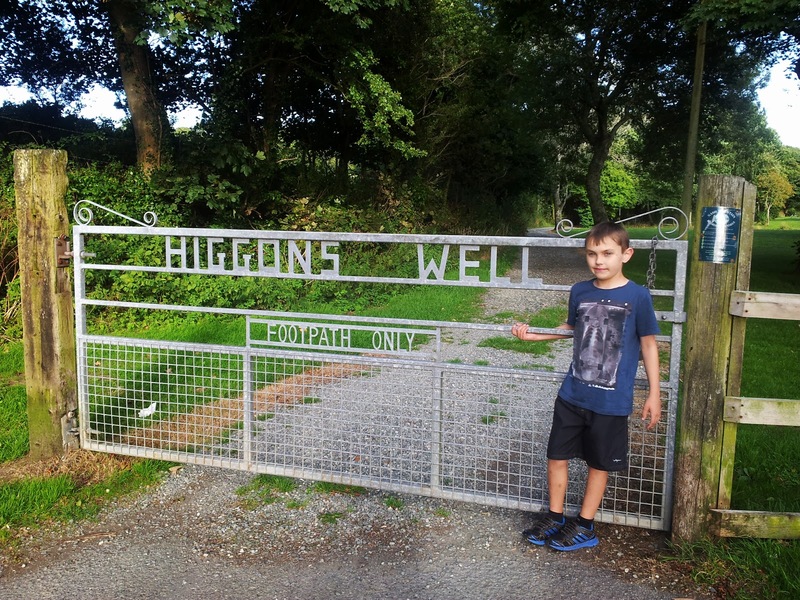 So, we drove to Higgon’s Well, in Haverfordwest, Pembrokeshire. 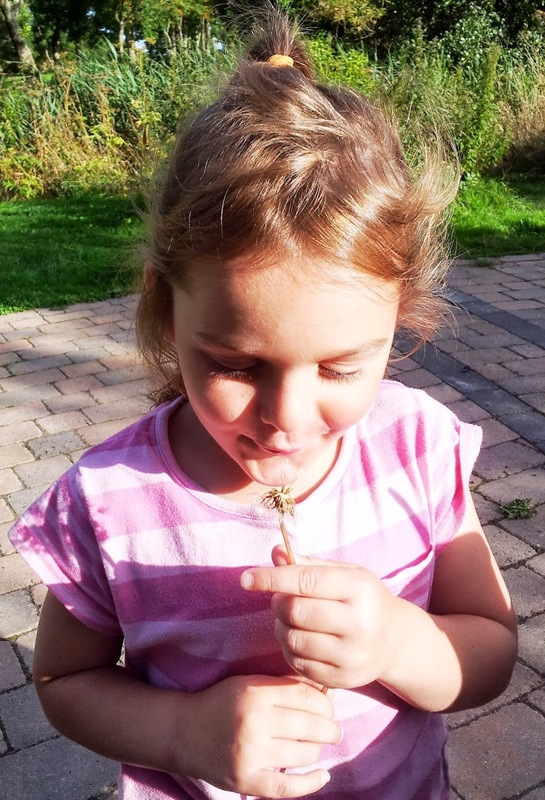 When we have more time (and energy!) 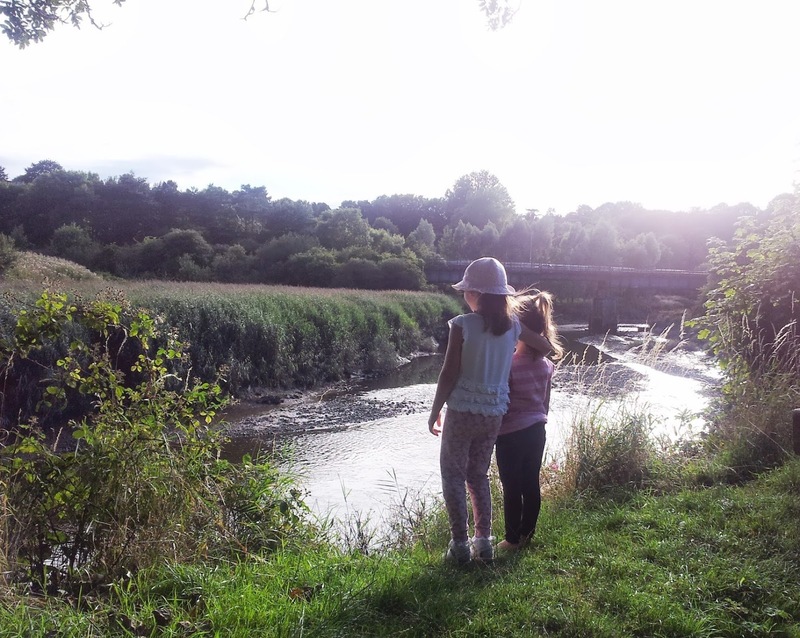 we do the circular walk (my favourite kind! ), it’s about 3 1/2 miles, so would be good for running too. 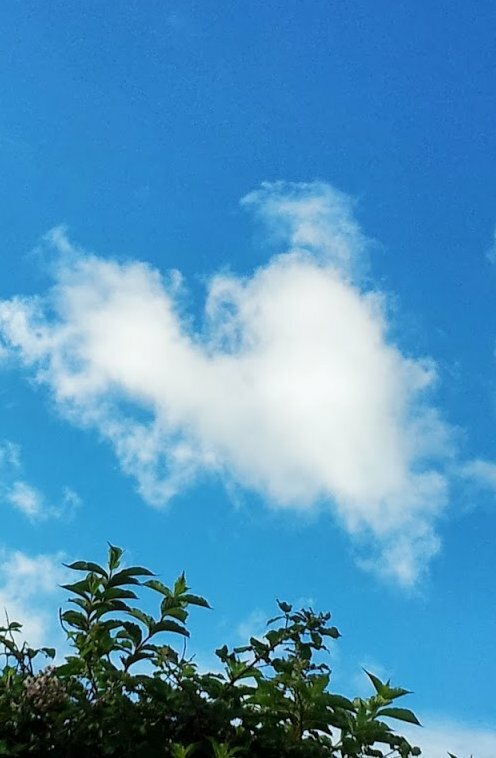 As we walked to the car, we admired the heart shaped clouds. 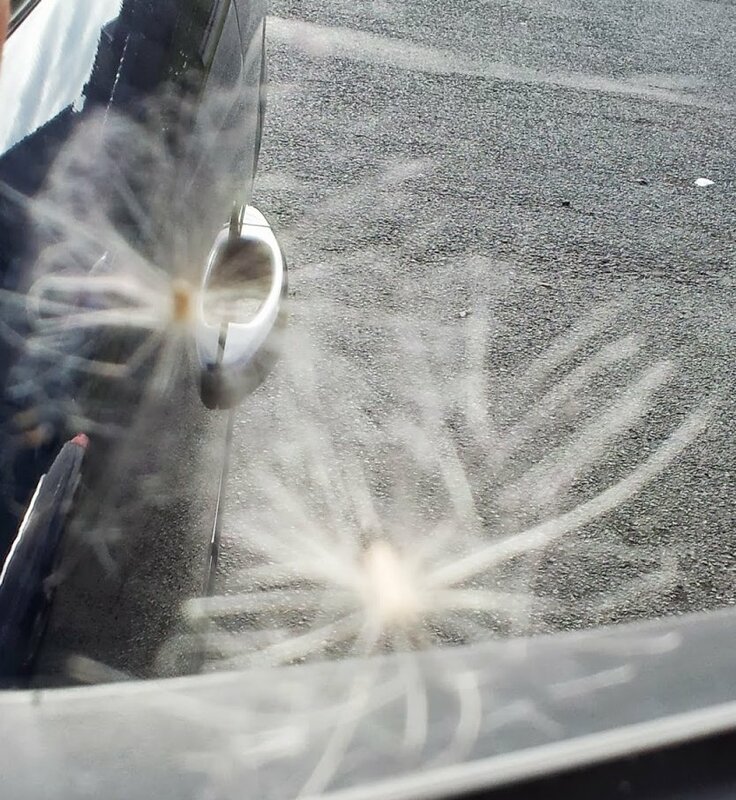 … and the fairy that landed on my wing mirror! 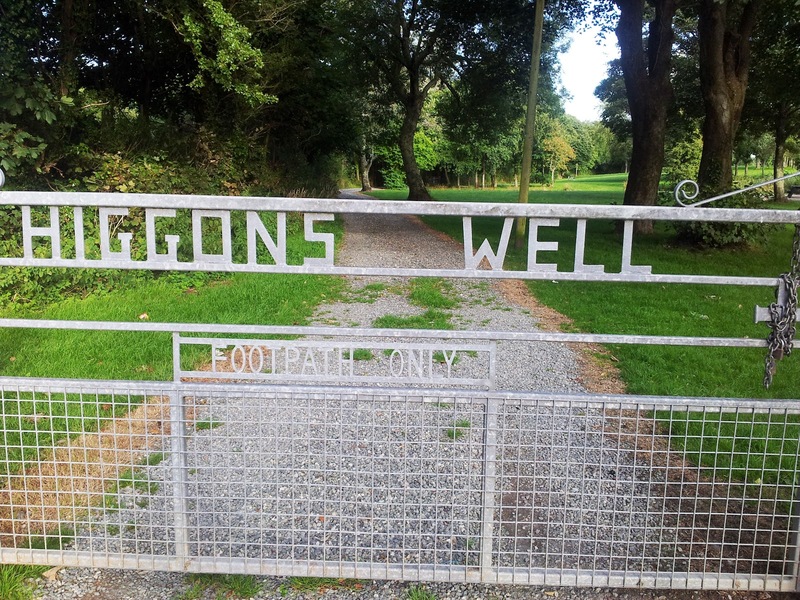 We walked around the shorter path by Higgon’s Well. Up to the well and back. We played on the bars and other activities that are still left from when it being a fitness trail. They should put one of those outdoor gyms like in the city there! …and took the time to stop and stare. I think Caitlyn noticed me sneaking a photo of her! It was a nice way to spend an evening, but is also a perfect place to visit for a mid afternoon Sunday Stroll to work off your Sunday Dinner! We will start doing this when the weather cools and thee days shorten. 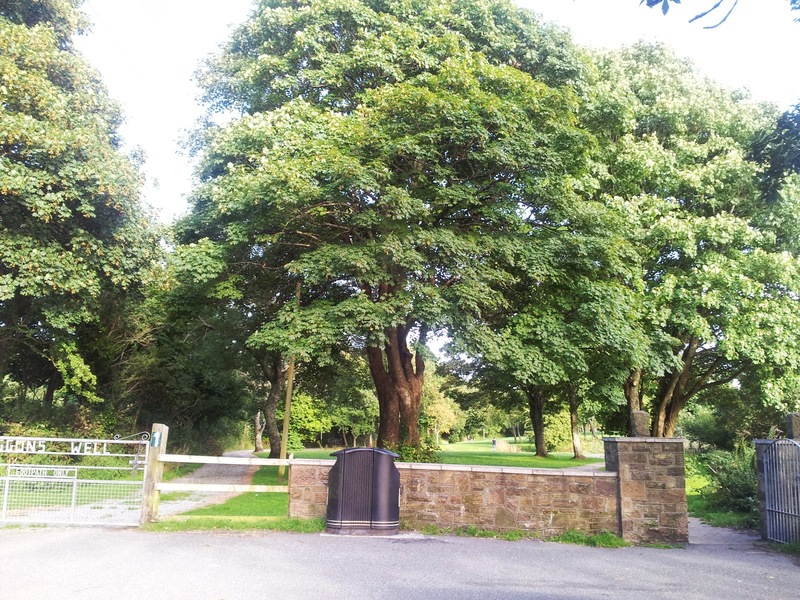 It is popular with dog walkers and also for fishing. 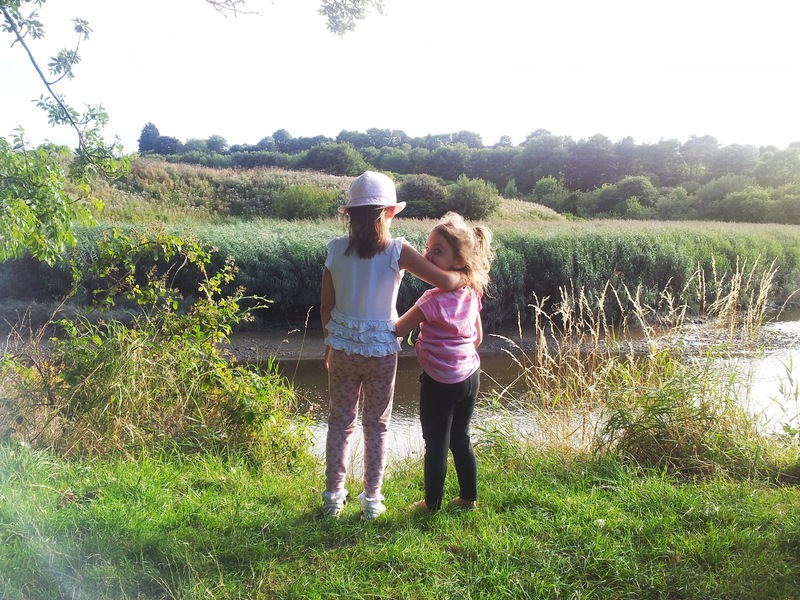 On the walk, you can see geese, mallards, kingfishers and swans. There are also sheep and cows! We have a picnic in the field with the sheep sometimes. There are lots of lovely tall trees, so it is a lovely place to visit all year round, but my favourite time to visit is Autumn to crunch the leaves!